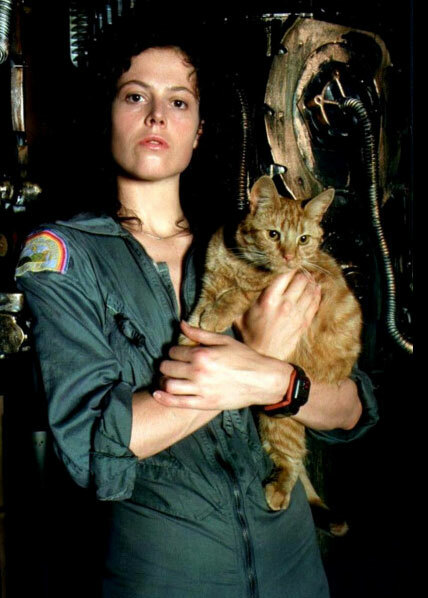 Ellen Ripley was born on January 7th, 2092 at the Olympia colony on Luna. She had one daughter, Amanda Ripley-McClaren. Sometime prior to 2122, she was hired as a Warrant Officer for the Weyland-Yutani commercial hauler USCSS Nostromo. Ripley and with the rest of the crew awoke from their Hypersleep Chambers thinking they were done with their cargo haul duty, but found out they were awoken to investigate a distress signal coming from the moon LV-426. The atmosphere of the moon damaged the ship, and so the crew had to stay on the moon until repairs were complete. An away team consisting of Captian Dallas, Executive Officer Kane, and Navigator Lambert left the ship to investigate the signal. They found a derelict ship emulating the signal. Ripley stayed on the shuttle to oversee the repairs. Ash served as the observer for the ground team's status. The three entered the derelict spacecraft, but their radio signal was cut off and the others had no idea what happened to them inside. Later, Dallas and Lambert hurried the unconscious Kane back to the Nostromo. Ripley refused to allow them to enter the ship, citing quarantine protocol. Despite this, Ash opened the entrance and let the three of them as well as the facehugger onto the ship. Ripley was later attacked by Lambert for leaving them outside.